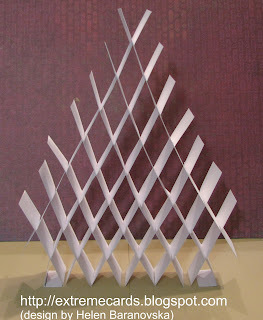 I had a request from a reader wondering how to make a card like this one by Helen Baranovska. It's a neat design. 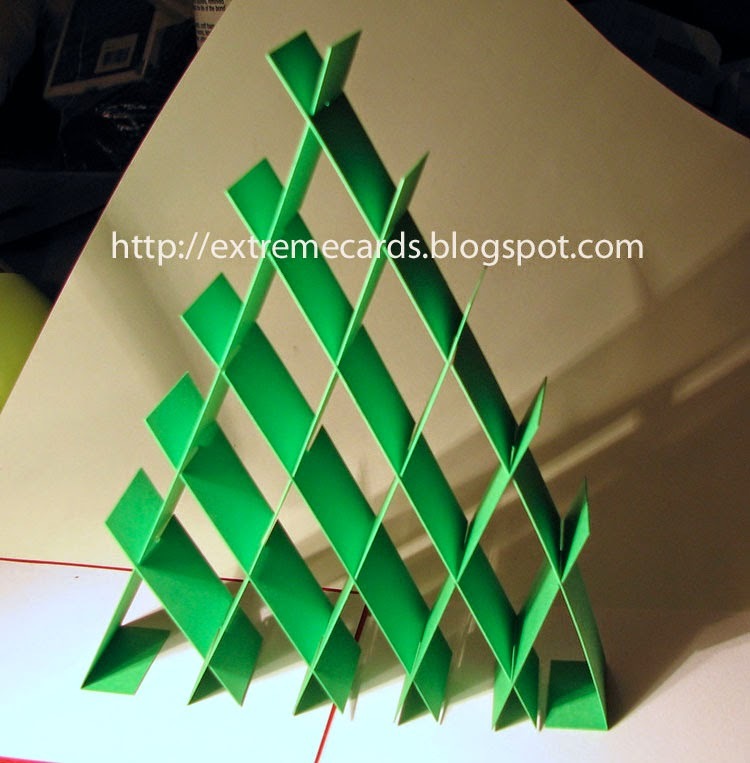 You can cut all the strips from one piece of 8.5" x 11" paper. Here's my version! It's a little wonky because I needed to cut slots where the pieces join, not just slits. The instructions are kind of "quick and dirty", so you'll have to click through to the PDF rather than seeing them here. See this tutorial for a simplified sliceform tree from paper strips.